Normally around 1 week, 3~5 days for simple item, 8~10 days for complicated item. It depends on product construction and workmanship. FOB, EXW, CIF, DDU are all available. Around 30 days, depends on order quantity and workmanship. 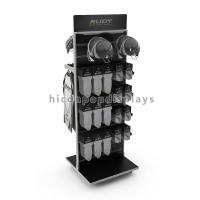 The display rack can be used in branded sportswear store, shop, supermarket, shopping mall. it can be used in clothing store and leather products distributor's shop. One-stop service including design, engineering, prototyping, production, shipping and logistics, after sale service. Encompass a broad range of materials, including metal (iron, stainless steel, aluminum etc), wood acrylic, glass, LED lighting, PVC graphics and more. Equipped with punching machines, CNC laser machines, bending machines, welding machines, digital UV printing machines, dust proof painting room, powder coating line, screen printing, and assembly and packaging in house. You can change the specification according to your needs. After you confirmed all the details of the display rack, we will provide a formal quotation and rendering to see if the display meets your needs. You can change the design to the display you prefered. We are confidence with the quality and manufacture process, since we work for worldwide sports products retailer, distributor, wholesale, manufacture over 10 years. 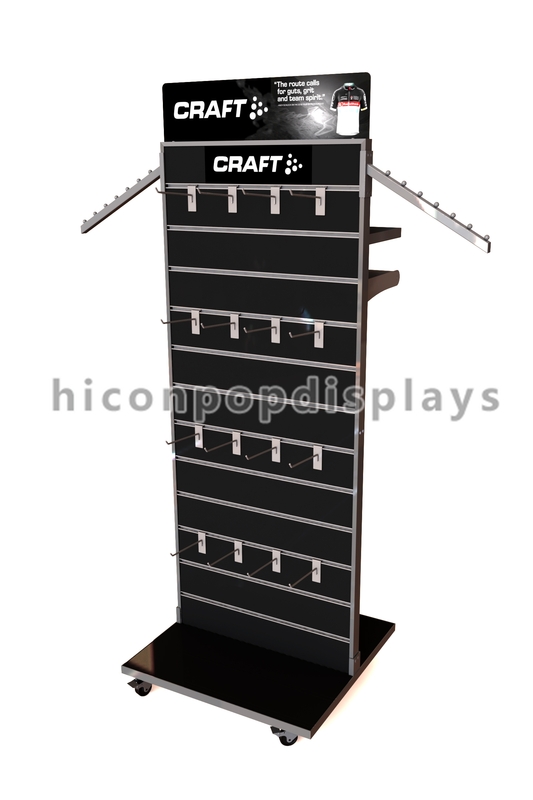 If you just need some display fixture for your merchandising products, we can help you. You can contact us by e-mail, phone call, on-line message and more. Here is one more design of sportswear display for your reference.